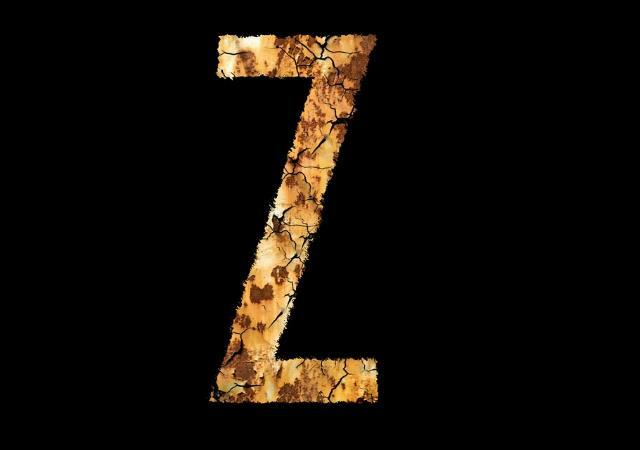 Z is a funny letter unto itself, because it looks like the number 2 the more you keep staring at it. And these Z words are really doubly funny when you think about it. Zabaglione is a delicious Italian custard that will confuse your little ones. Zenzizenzizenzic is the eighth power of any number. If you really want to piss off your kid’s high school math teacher—and let’s face it, who doesn’t?—use this word at your next parent-teacher meeting. So instead of saying, “I’m certain to the 8th degree that my little Timothy did not draw that picture of you.” Say “I’m certain to the zenzizenzizenzic degree…” She won’t know what you’re talking about, and then you can raise concerns about her math skills. Should make for an interesting meeting. All you Scooby Doo fans out there know quite well that zoinks! means “Oh no!” or “Uh oh!” Now, it’s a really great word that everyone should be using more often in order to make the world a better place. It’s far better than the other word that people use, which I’m not going to mention here. Being crazy in a fun way is zany. But gobs of crazy people are not zany. Axe murderers, people who play with explosives for fun, mad scientists, daredevils and carnival killers. They aren’t zany at all. Zoopery is the practice of experimenting on animals. Good heavens! Is that what really goes on at zoos?! ZZZ is the commonly agreed-upon set of letters that signifies that someone is asleep or snoring. Not to be confused with Bzz, which is the commonly agreed-upon set of letters that signifies the sound that bees make as they fly. You can’t say this word without tickling your tongue, though. So usually people just use “Zees” when they’re sleeping so they don’t tickle themselves awake. Way back in science class, you were taught that a zygote is the cell produced from the union of two gametes. Of course, the second you learned this new science word, you turned it into an insult for classmates you didn’t like, didn’t you? Zygote is a term for a stupid person who has not matured. So really, if a person calls another person a zygote, it’s kind of the pot calling the kettle black. A zippy person can be described as quick and energetic. They can also be described as being annoyingly hyper or rabid. So don’t be so quick to jump up and down for joy if someone calls you zippy. Unless you’re also a zany person. Apparently, a zol is what they call a hand-rolled weed cigarette in South Africa. At my high school, they just called them joints. So if you ever travel to South Africa, and you are offered a zol, just say no. Previous articleWhat Song Would You Pick To Listen To For An Entire Week? Next articleWhat’s The Goofiest Way To Leave A Boring Party?